I was going through our pictures today finding all sorts of stuff that we have made in that past that I haven’t shared on our blog. 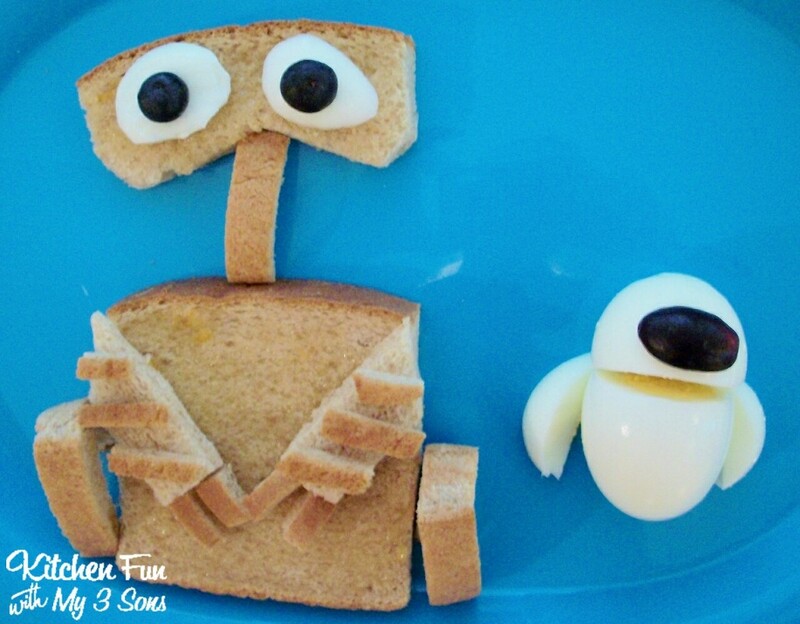 I think we made this Wall-e and Eva Breakfast about 2 years ago. It’s very easy to make! We used 2 pieces of buttered toast, 1 dark grape, and 1 hard boiled egg. We put 1 piece of toast on the plate for Wall-e’s body. Take the other piece and cut the crust off to make the wheels, neck and other details. Cut the head and arms out with kitchen scissors. We cut the back side off the the hard boiled egg to make Eva’s arms and Wall-e’s eyes. We cut 1 dark grape for Eva’s face and Wall-e’s pupils. 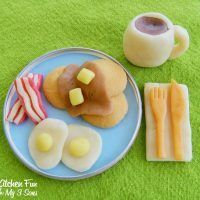 A quick and easy breakfast to make for all of the little WALL-E fans out there! Next Post » A Fishtastic Lunch! haha so cute! i just had to show my hubs because i love wall-e so much! thanks for sharing! So so cute! My son LOVES Wall-E. This would be fun to do one morning! Hello! I am now following you from Welcome Wednesday Blog Hop! I am now following you through Pinterest and GFN. I would love it if your hopped over to my blog and liked me too. Hi I am following you from Welcome Wednesday's. 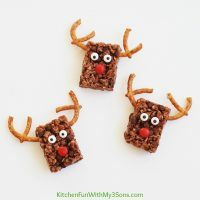 I love your creative mind and the patients to cook with your kids. I have yet to really attempt that but admire it in others. This is absolutely adorable. Great idea. My son loves Wall-E,he will go crazy wen he sees this, and it looks so easy. I'm your newest follower. Found you via the ABC123 show and Tell linky. Awesome..it is really easy! Thanks! 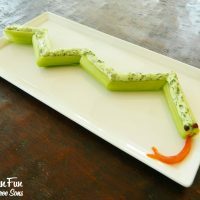 What kid wouldn't love this? Super cool! Coolest breakfast I've ever seen! So cute! LOVE this!!! 🙂 Do you know if there is a way to make your own food coloring pen writer? I don't buy the food colorings unless if it's all natural and I haven't been able to find food pen writers that are all natural. Stopping by from TGIF! Seriously fantastic!!! I cannot wait to try this! Stopping in from skip to my lou.